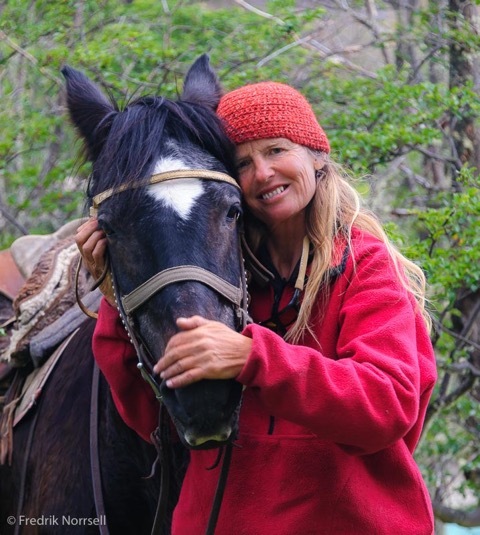 Nancy Pfeiffer - Riding Into the Heart of Patagonia — Shakespeare & Co.
Thursday, October 11: Nancy Pfeiffer joins us from Palmer, Alaska for a reading for her new memoir, Riding Into the Heart of Patagonia, along with a slideshow of photos from her travels in the Aysen region. 7pm. As a lifelong adventurer and outdoor educator, Nancy Pfeiffer has traveled from Antarctica to the Arctic Ocean. Life as a mountaineering guide has given her the opportunity to experience the world’s highest summits, yet it is the landscapes and cultures encountered along the way that intrigue her most.Her published works range from poetry to scientific research, and explore subjects from the joys and frustrations of building a house as a single woman to mountaineering for paraplegics. As a novice horsewoman, Nancy took off across Patagonia alone on horseback. Over the next two decades and three thousand kilometers of rugged horse trail, the hospitable people who live there took her in, and Patagonia slipped silently into her soul. Nancy now lives with her husband Fredrik in a cabin outside Palmer, Alaska.